Pour 3/4 pint ale into glass. Mix Amaretto and Jameson in shot glass. Float Bacardi 151 on top, being careful not to mix. Ignite 151 and and gently drop it into the 3/4 pint of ale. Enjoy! An Awesome shooter. 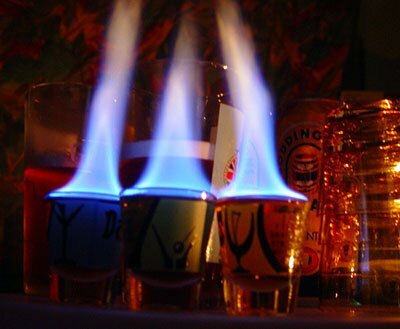 Note: Flaming drinks can be extremely hazardous. 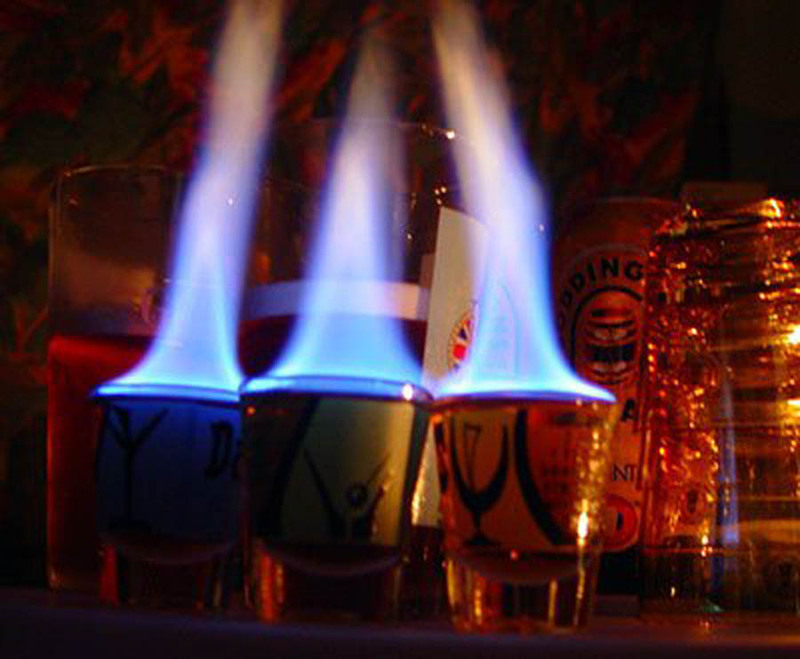 The flame from igniting alcohol is often bright blue and sometimes invisible. Do NOT attempt to pour the drink into the beer as burning alcohol will spread like liquid fire and act like napalm and set your world ablaze. This would ruin your drinking fun, and would not be good. I cant believe this is still the only flaming shot on SMD. Time to get cooking I guess. Great picture. The drink sounds intriguing. I have all the ingredients. Might be worth a try. It sounds similar to a flaming car bomb. I'm interested but can't do the Amaretto. Looks great.